SLAM PHILIPPINES #162: OUT NOW! 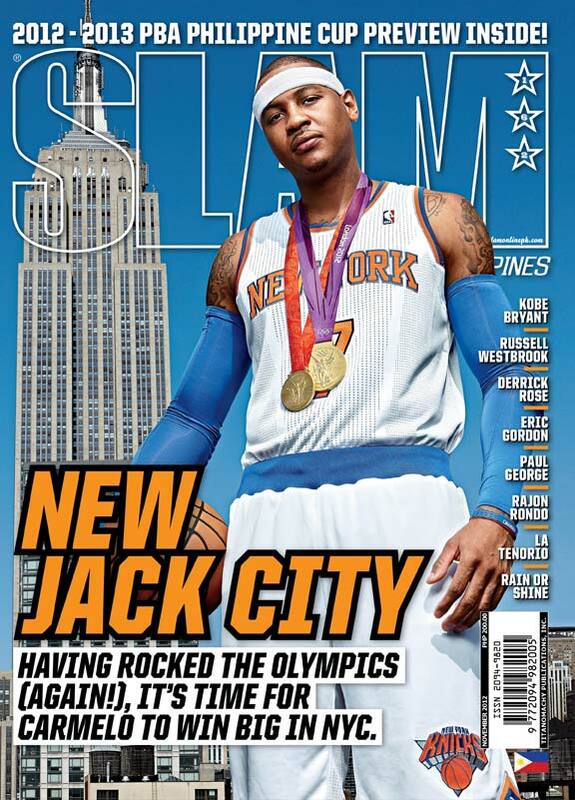 Two-time Olympic gold medalist Carmelo Anthony graces the cover of SLAM PHILIPPINES #162, out now in newsstands! Issue #162 also takes a look at the PBA’s 38th Season, where we breakdown the strengths and weaknesses of each team in our 2012-2013 PBA Philippine Cup Preview. we also relive the Governor’s Cup championship run of the Rain Or Shine Elasto Painters a couple months back. Going up 3-1 against the then-B-MEG Llamados (now called the SanMig Coffee Mixers), we witnessed James Yap and Co. claw their way back to set up a do or die rubber match, where destiny awaited the Elasto Painters as the franchise notched its first ever championship. To make things more interesting, LA Tenorio, coming off his Jones Cup heroics, caught us off guard as he switched to a different set of Black and Reds joining the league’s most popular franchise to start the season. Issue #162 also features Eric Gordon, Paul George, Rajon Rondo, and more, so head out to your nearest newsstand and grab a copy now!